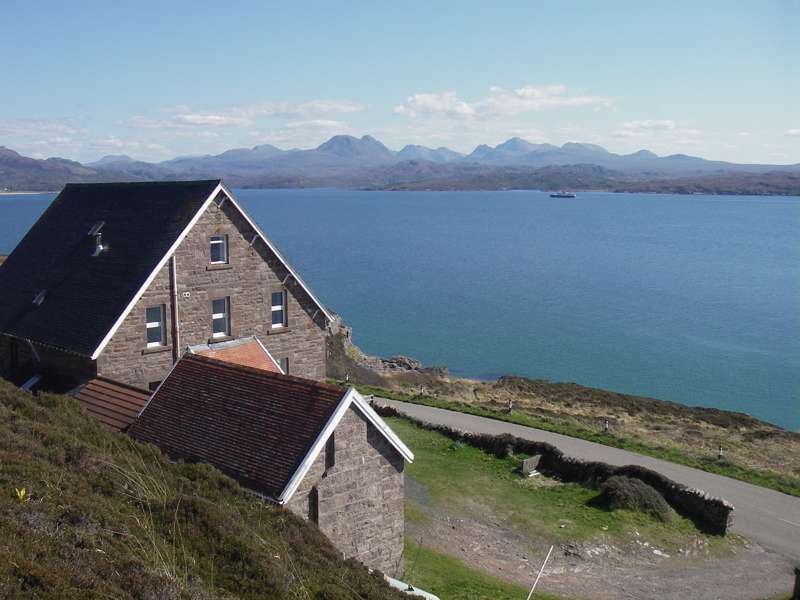 A cosy youth hostel on the northern shore of Loch Gairloch with magnificent sea and mountain views. Stunning panoramic views of the Torridon hills and Loch Gairloch are the most memorable features of a stay at this former Victorian hunting lodge. Unless, that is, you are lucky enough to see dolphins, whales or otters, all of which have been spotted cavorting in front of the hostel. There are some great sandy beaches only minutes away, or get in the car to explore mountains in the Torridon range. Also a short drive away is the wonderful Inverewe botanical garden, now over 150 years old and covering 50 acres. The local village has an award-winning heritage museum, and boasts a couple of pubs (the Badachro and Old Inn), with fine reputations for food and where you can mingle with locals and fellow travellers and discuss the awesome scenery surrounding you. The youth hostel offers a good range of facilities including a dining room, a well-equipped self-catering kitchen and both multi-share dorms and private bedrooms. Beds from £20 a night for adults, children £15. Private rooms from £49 a night.